I finished reading all the Harry Potter books on Friday. Yes, I'm aware that I'm four years behind the rest of the world. For what it's worth, Josh was only about a week ahead of me. Tonight I was browsing around on Etsy.com and found a print for sale with a quote on it. This one in particular. I want it for my hallway wall whenever I get around to it. However, I was looking at it, and realized that I could do this exact same thing by printing it out on a piece of paper and framing it. Much less expensive that way. 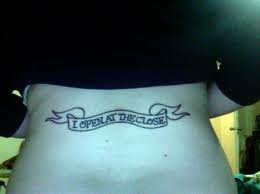 So my next thought was "well, I wonder what other commonly used quotes are out there, because I may like one better." So I went to Google. Not of quotes, of course. 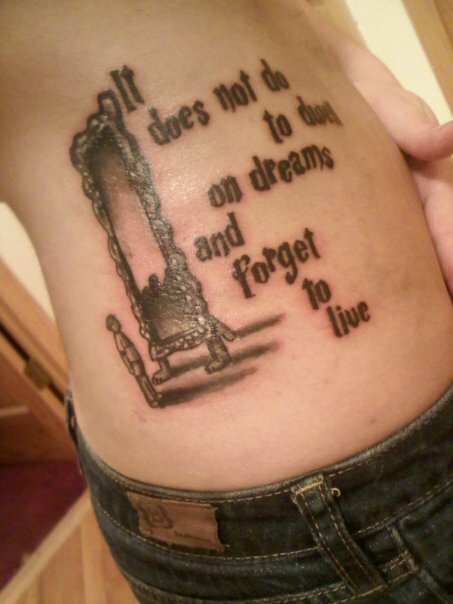 I Googled: "Harry Potter Quotes" and started getting all these images for tattoos. 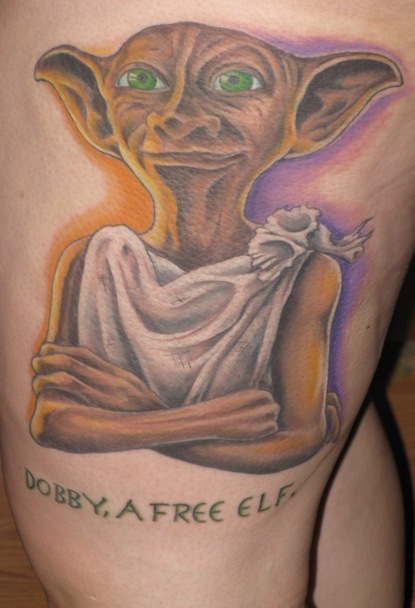 So I changed my search to "Harry Potter tattoos" and came up with this mess. 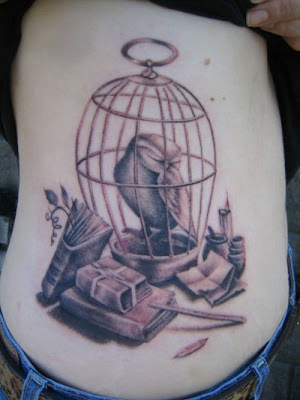 Now, I understand tattoos. People get them because its what they like. But really. 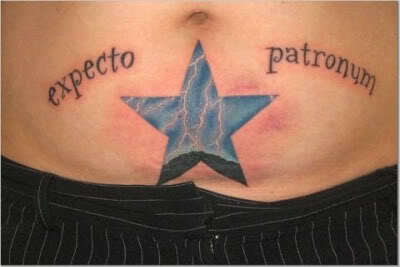 Not only did you get this tattoo, then you went home, took a picture, and put it on the internets. For real. That is forever. 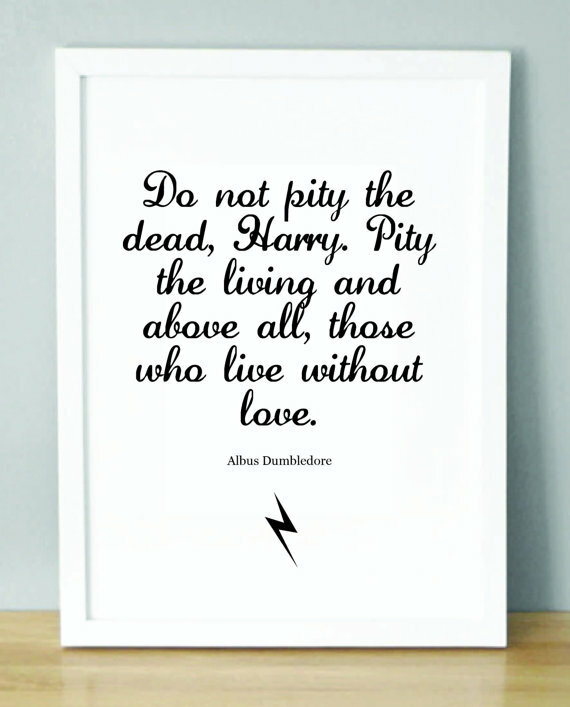 i LOVE Harry Potter...reading the books & watching the movies over and over! Even playing Harry Potter Scene It. Yet I will NEVER consider tattoo-ing Harry on my body!